Aerol treadmill lubricant is a specially formulated spray that lubricates, protects and eliminates squeaking and binding caused by friction. Free from chlorinated solvents that affect rubber, our treadmill lubricant spray contains a penetrating conditioner that keeps rubber belts soft and supple. 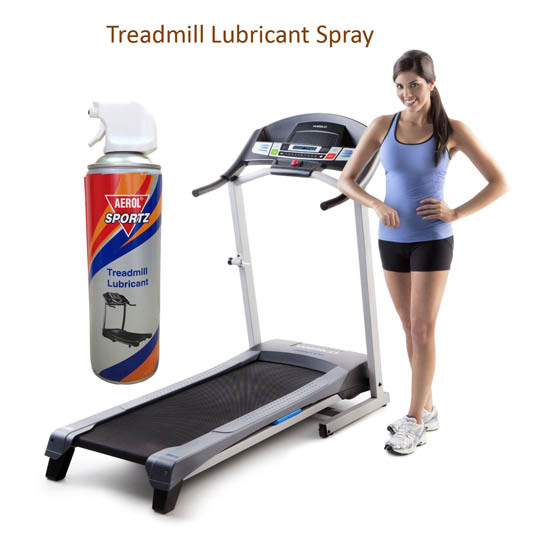 Highly adhesive to both belt and deck which ensures longer lubricant life, Treadmill Lubricant Spray does not over lubricate that causes 'slip' in belt. The spray also maintains the torque of the motor and does not dry off easily. Aerol Treadmill Spray is used in a wide range of applications in fitness equipment, especially treadmills, to reduce or eliminate friction, adhesion and wear that can cause damage and annoying squeaks.